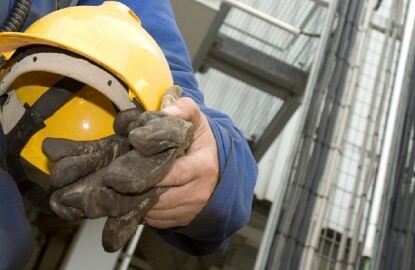 It’s well known that drug and alcohol testing can improve safety and productivity in safety-sensitive work environments. Somebody under the influence of drugs or alcohol while at work not only puts themselves at risk but also puts the people around that person in harm’s way. Drug and alcohol testing programs reduce accidents caused by those under the influence of drugs and alcohol. Pre-employment testing: By testing people after you have made an offer of employment BUT before the person begins working, you can reduce the risk of hiring individuals who may pose a heightened safety risk to themselves and others in safety-sensitive work environments. Pre-access testing: This is done as individual site owners may have slightly different requirements regarding the substances tested for the timelines for testing. For compliance purposes, it is important to always clarify the test requirements with the site owner. Post-incident/post-accident testing: Is done when an incident that cannot be explained through mechanical failure occurs in the workplace. By performing drug and alcohol testing as soon as possible after the incident, the company will collect important information to use as a tool when analyzing the causes of workplace incidents. Reasonable cause: Done as to eliminate the possibility of current substance use being the cause of observed behaviours that lead a supervisor to believe the employee is not fit to perform duties in a safe manner. Random drug and alcohol testing: Is an effective way to deter substance misuse in the workplace. It is essential to learn how to determine when to administer a random drug test and to whom. To be effective and truly random, the use of a computer-generated program is essential in order to guarantee random selection. To read about how random drug screen works, click here. Unannounced follow-up testing: Implemented after drug test results have shown that an employee has a substance use disorder. Once the employee has followed the recommendations of either a Substance Abuse Experts (SAEs) or Substance Abuse Professionals (SAPs) and returned to work, follow-up testing is implemented as a component of the employee’s return-to-duty agreement. Well, there you have it! The six situations when drug and alcohol testing can be done to effectively improve safety in the workplace. These situations are not meant to corner employees or to make them feel as if they are being picked on. Instead, this list helps improve the #1 goal of all organizations, increased safety. Now that you have a clear understanding of the reasons for testing, the next logical step would be to contact us for more information on how to determine when to test, and which situations work best with your organizational policy/needs.